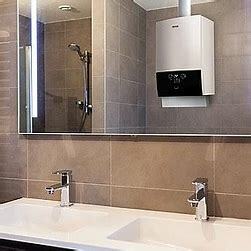 The GW Smart is an impressive condensing boiler with its modern design, future oriented-technology and easy maintenance. 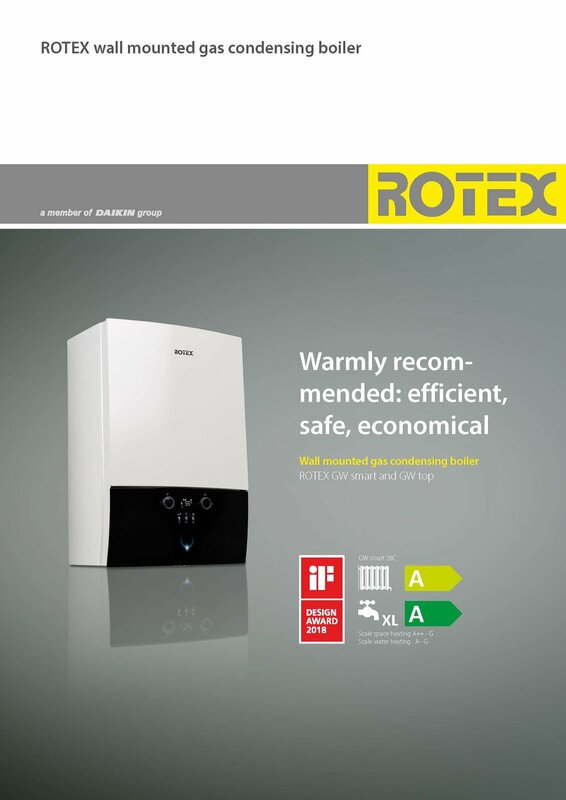 The wall mounted gas condensing boiler from ROTEX is characterized by a small footprint, extremely straightforward operation and installation, quiet running and maximum efficiency for both domestic hot water and central heating. With the Smart App and the LAN-Adapter you can control your heating system easily with your smartphone. The GW Smart is effective up to 109 %. The extremely lightweight boiler weighs just 27 kilograms and can be installed in a variety of settings thanks to its compact dimensions. All parts are accessible from the front of the unit, facilitating maintenance. 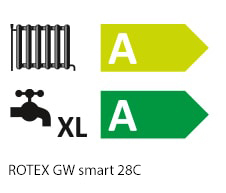 The wall mounted GW smart gas condensing boilers from ROTEX are characterized by a small footprint, extremely straightforward operation and installation, quiet running and maximum efficiency for domestic hot water and central heating. For variable use various types and versatile flue gas installation variants are available. 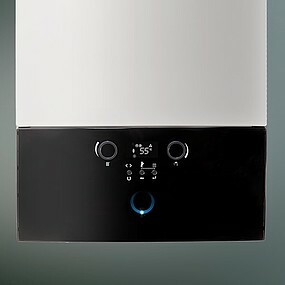 The wall mounted gas boiler has the NOX class 6 and can be operated independently of the room air. The operation is possible with natural gas or liquefied gas.